BIG CYPRESS — Norma Tommie stood outside the Big Cypress Reservation’s Frank Billie Tribal Field Office on April 4, National Walking Day, stretching to prepare for her walk. Normally, Tommie works out four to five days per week at the Herman L. Osceola Gymnasium’s fitness center with her trainer, Big Cypress Tribal member Cathy Cypress. But Tommie and Cypress, who have been working out together for five months, decided to change up their workout routine. “I usually work out in the gym, but now this gives me a better opportunity to take care of myself,” Tommie said. The two were among 15 Tribal members and employees who took part in National Walking Day. The event is celebrated annually on the first Wednesday of April. The American Heart Association (AHA) sponsors National Walking Day, encouraging employees nationwide to take 30 minutes out of their day to raise awareness of the importance of physical activity on a daily basis. The AHA, which suggests that organizations begin the 30-minute walk at noon, aims to push workers toward healthier lifestyles. 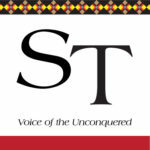 The Tribe’s Health Department did their best to bring that message to the Tribal community. Family Services Outreach Coordinator Tara Robbins was all smiles as she prepared to take on the walk. 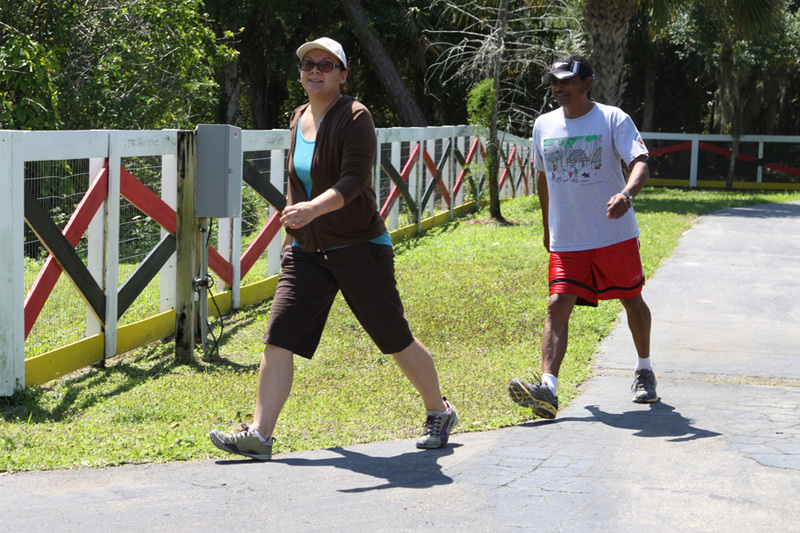 After a series of stretching exercises, the National Walking Day participants began their route, which started outside the Frank Billie Tribal Field Office and continued through a small portion of Josie Billie Highway to reach the Big Cypress Fitness Trail. In the heat, the participants walked a full lap around the trail, which was one-third of a mile long. The 30-minute walk concluded when they returned to the Field Office. Big Cypress Councilman Mondo Tiger also participated in the event. Fitness trainer Tommie explained the all-around benefits of exercise. Big Cypress Tribal member and Walking Program Coordinator Edna McDuffie, who came up with idea for the Big Cypress event, said getting fit is important. According to the AHA, heart disease is America’s No. 1 killer, but by exercising for at least 30 minutes per day, individuals reduce their risk of having the deadly disease. Studies have shown that the benefits of walking and physical activity for at least 30 minutes per day can also help reduce the risk of obesity, diabetes and cancer; improve blood pressure and blood sugar levels; and enhance mental well-being. For more information on National Walking Day and the AHA, visit www.startwalkingnow.org.